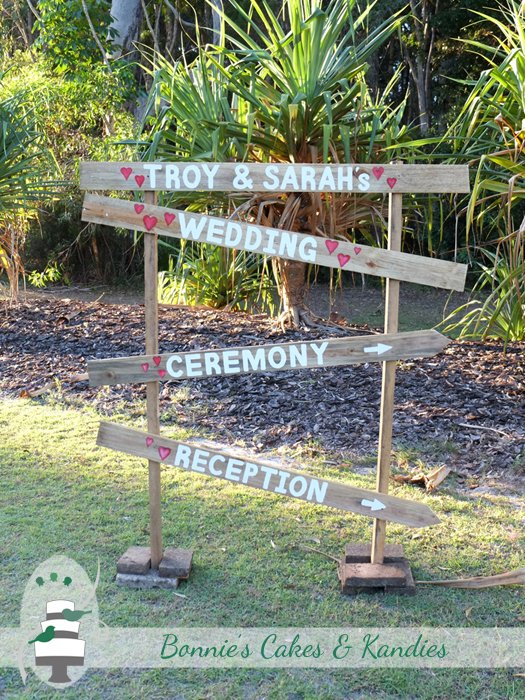 Sarah & Troy were married at Rainbow Beach last May and chose Rainbow Shores as their reception venue. 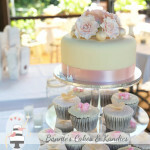 It was my pleasure to create their cutting cake and cupcakes, which were arranged on my silver cupcake presentation stand. Let’s take a look! 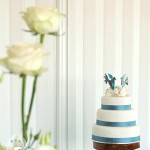 The cutting cake was made in dark chocolate mud cake, with an even split of vanilla sponge, and dark chocolate mud for the cupcake flavours. 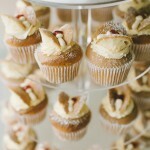 Gluten free cakes are my specialty, so Sarah & Troy asked me to make 20 of their cupcakes gluten free. 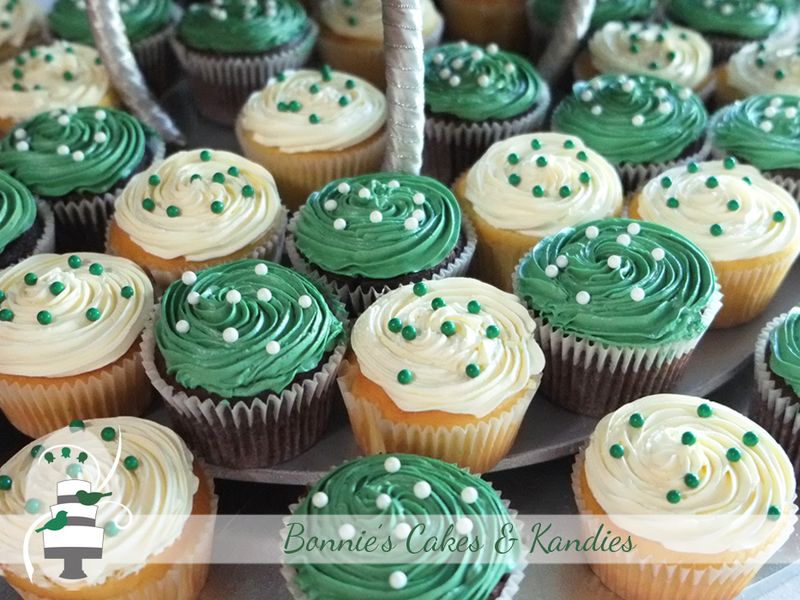 I packaged these separately to avoid being mixed up with the regular cupcakes, and handmade each of the edible pearls on the gluten free versions. 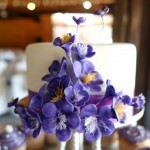 I was thrilled to make green climbing blossoms for Sarah & Troy’s cake! 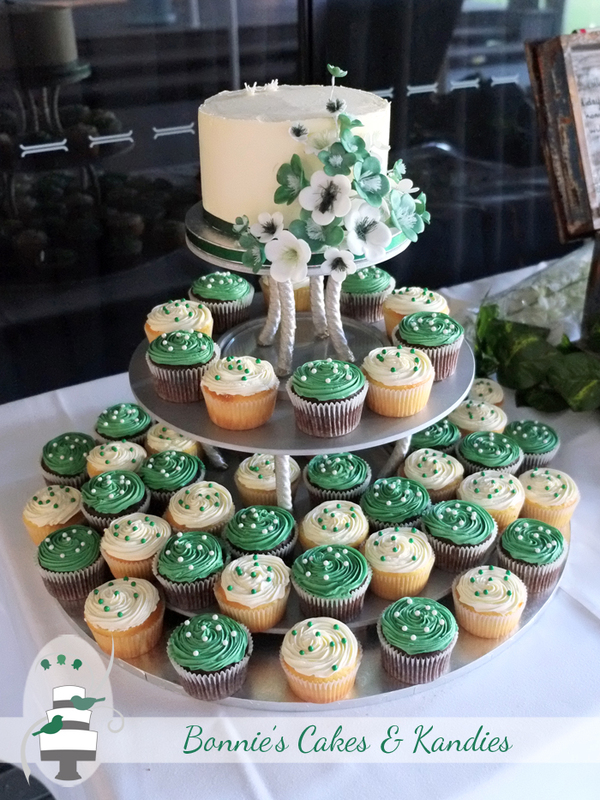 Green is one of my favourite colours, but not one that I often get to work with for weddings. 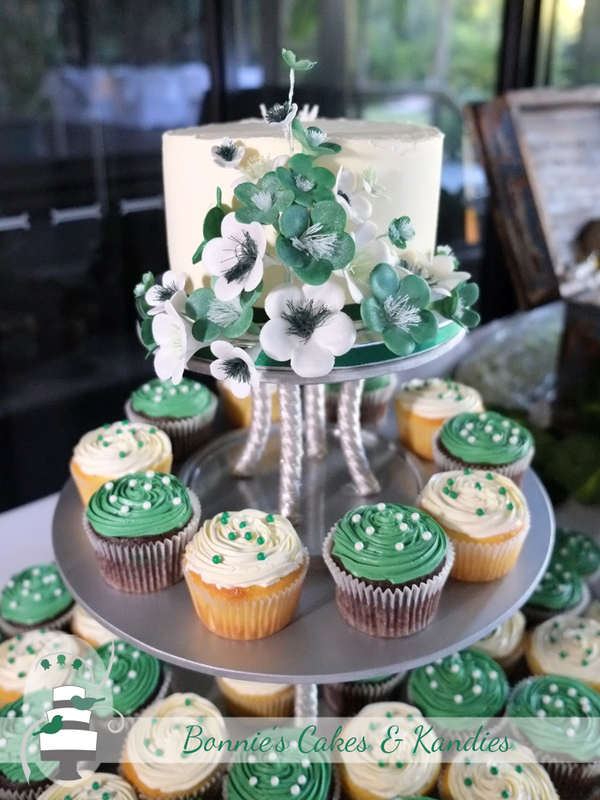 The green and white icing flowers matched in nicely with the green and white icing on the cupcakes. 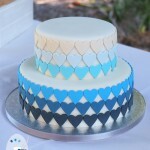 I absolutely loved the finished result! 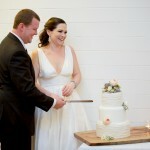 To Sarah & Troy – a very big thank you for choosing Bonnie’s Cakes & Kandies! I can’t believe it has almost been a whole year since your wedding day, and hope that every day since has been just as wonderful. My warmest wishes to you both!